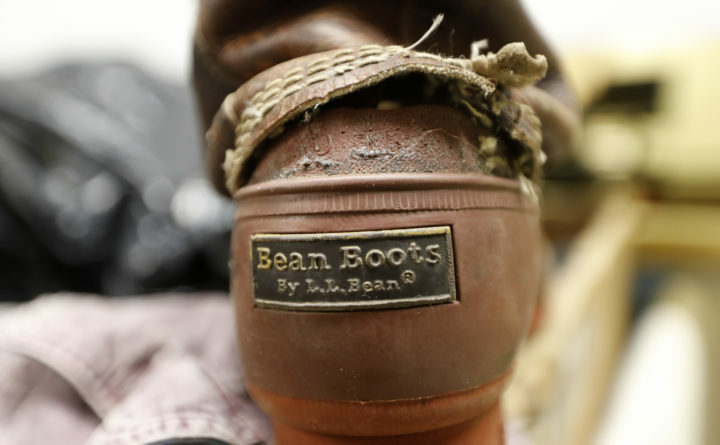 A Bean Boot is seen in the return bin at L.L. Bean retail store in Freeport, Feb. 2, 2018. A district court judge in California on March 14 dismissed the third of four lawsuits filed against outerwear retailer L.L. Bean after it changed its lifetime return policy in February 2018. All four lawsuits, in California, Massachusetts, Illinois and New York, sought class-action status, with the plaintiffs asking for damages allegedly suffered when L.L. Bean put a time limit on returns. L.L. Bean cited fraud and lost revenue as the reasons for the policy change. In its recent financial performance release, the company said changes to the return policy have cut fraudulent and abusive returns. However, it did not reveal the financial benefits from the policy change. The California lawsuit was filed May 4, 2018, by William A. Shirley of Berkeley. It sought class-action status, and was similar to the first lawsuit filed Feb. 12 in Illinois Northern District Court by lead plaintiff Victor Bondi of Chicago, and two subsequent lawsuits. The second was filed Feb. 28, 2018, in New York by Anita Berger and the third on April 24 in Massachusetts by Benjamin Pershouse. Of the four plaintiffs, Pershouse was the only one to have tried to return an item to L.L. Bean, according to court documents. He was unsuccessful. His case is ongoing in Massachusetts. However, in August 2018, when Gonzalez Rogers granted L.L. Bean’s motion to dismiss a potential class-action lawsuit, she gave Shirley a chance to amend his complaint. The March 14 ruling dismissed that complaint. The case in Illinois was dismissed when U.S. District Court Judge for the Northern District of Illinois Robert W. Gettleman ruled on June 28 that plaintiff Victor Bondi failed to state a claim against L.L. Bean. Bondi has since amended his complaint. And on Jan. 8, 2019, U.S. District Court Judge Eric Vitaliano in a Brooklyn court dismissed the case by Berger. His ruling was similar to Gonzalez Rogers’ decision, stating that because Berger had not returned an item to L.L. Bean, the case rested on future, unknown events. “If plaintiff should ever attempt to return her coat and find her return denied, she may seek relief at that time,” Vitaliano wrote in his ruling. An L.L. Bean spokesperson was not immediately available for comment. However, when the first case in Chicago was dismissed last July, spokesperson Carolyn Beem said the lawsuits are without merit.